Pilsen Malt gives beer a fresh and rounded taste. It is used for all types of beers based on basically barley malt. It forms an excellent “light” and enzyme-rich foundation for almost all beer styles. 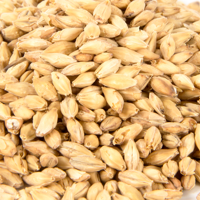 Malt characteristics: low protein levels, high extract content, light color and high enzymatic activity. Pilsen Malt is also available in organic quality. Perfectly suited for premium pilsner, lagers, ales, Kölsch, light beer.